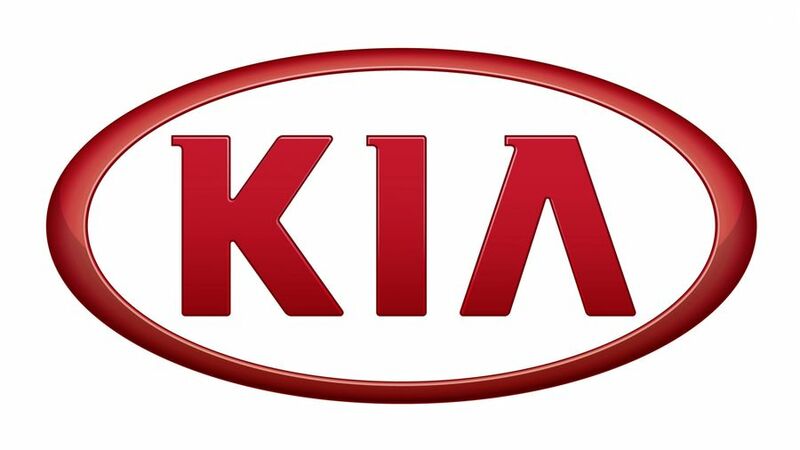 Kia is a Korean car manufacturer that offers a wide range of vehicles at attractive prices, and prides itself on an exceptional seven-year warranty. While a relative newcomer to UK shores compared with some more, well-established brands, it has successfully shaken off early concerns about design and quality and now produces well-made, generously-equipped and very reliable machines to suit all sorts of needs. 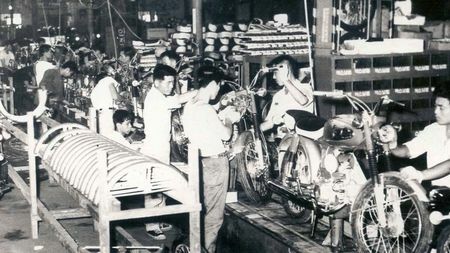 Although a relative newcomer to the UK (it first touched down here in 1991), Kia was founded way back in 1944. 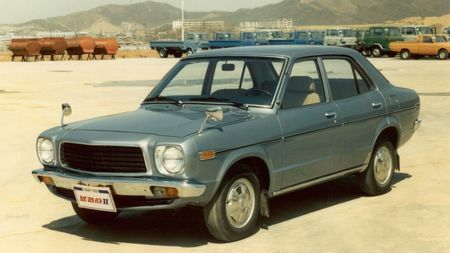 Back then, it built steel tubing and bicycles, but branched out into cars in the 1970s. The firm merged with Hyundai in 1998, and today the combined brands are by far the most successful Korean automotive companies, selling millions of cars around the world, and winning industry and consumer awards left, right and centre, including several Auto Trader New Car Awards. The company has increasingly focused on styling in recent years, picking up some of the industry’s best designers in an effort to boost the brand’s image. It’s done well, and these days strikes a nice balance between quality, price, style and reliability. So, let’s take a look at what it offers. 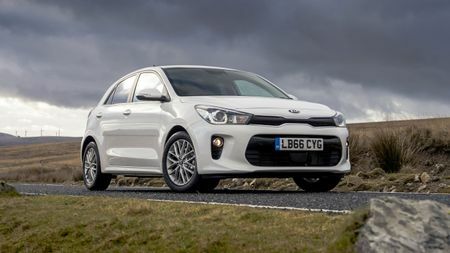 The smallest car in the Kia range is a little hatchback, called the Picanto. While diminutive, it’s surprisingly spacious inside and good to drive too, which will appeal to those looking for a city car. It’s trying to tempt buyers away from cars like the Volkswagen Up, or Toyota Aygo. The Rio is the next smallest hatchback, comparable to a Ford Fiesta or Volkswagen Polo. It’s a popular little car, picking up two of our New Car Awards in 2018. We’re not surprised, as we loved its high levels of equipment and its interior space. If you need yet more space but don’t want a massive car, then take a look at the Venga. 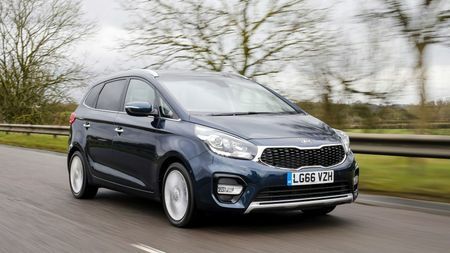 This is almost a small MPV, designed for families but with all the features crammed into a car that competes with Honda’s Jazz or Ford’s B-Max. 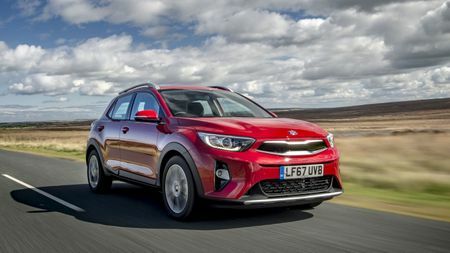 Kia has succeeded in making the most of the car’s dimensions, which will be great if you have small children and all their belongings to lug about. Kia only makes two mid-sized cars, but it makes a lot of versions of them, which means that there’s plenty of choice for different needs. The first car is the Ceed, a Ford Focus-sized hatchback that comes in a range of trims to suit different budgets. 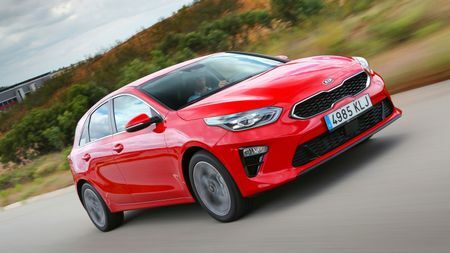 As one of the newer cars in the Kia range, it benefits from the latest technology and an improved driving experience over older cars. 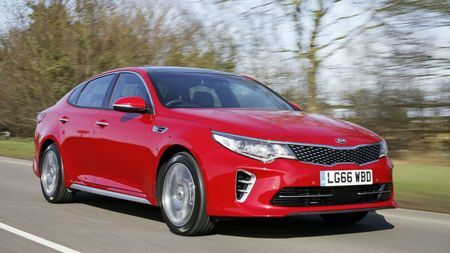 The second mid-size car is the Optima, a saloon comparable to cars like the Ford Mondeo or Volkswagen Passat. It's also available as an estate called the Sportswagon. Once again, a range of petrol and diesel engines, and several different trims, will appeal to different target buyers and budgets. There’s also a plug-in hybrid version available, too, in both saloon and Sportswagon forms. 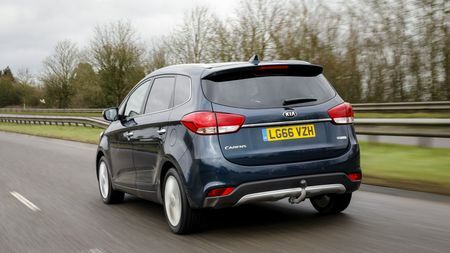 If you need to seat seven in your Kia, then one option is its MPV, the Carens. This is one of the smaller seven-seaters on the market, which may well suit you if your driveway or parking space isn’t the biggest. It’s also well-equipped and nice inside. The world is mad about SUVs right now, and Kia has several to choose from. The smallest is the Stonic, which is a rival to cars like the Renault Captur and Nissan Juke. All versions are well stocked with kit, and its looks make it stand out from the crowd. 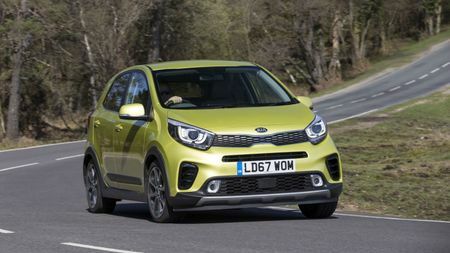 The Stonic was introduced as a replacement for the very unusual-looking Soul, although Kia continues to sell its distinctive little runabout in several versions, including an all-electric car called the Soul EV. If an all-electric car doesn’t suit, then the hybrid Niro might. It’s almost more of a hatchback than an SUV, and comes as standard with an automatic gearbox, which for some will be a big plus. Then there’s the petrol-engine-plus-electric-motor drivetrain, which keeps official CO2 emissions well down. 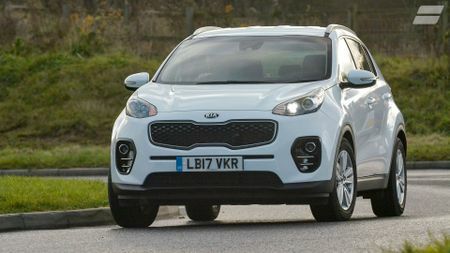 For larger SUVs, look at the Sportage, which has been a big-seller for Kia and for good reason. With several versions and different price points to choose from, it mixes decent equipment levels, comfort for five passengers and decent space inside, for a very reasonable price. The biggest SUV that Kia sells is the Sorento, a big seven-seater with a good interior, lots of equipment and a relaxing driving experience. If you’ve got a big family and the Carens isn’t quite what you’re after, this is well worth checking out. 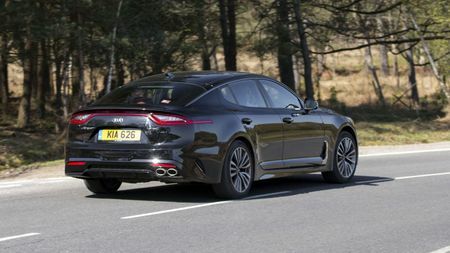 The Stinger is Kia’s sporty offering, and something that has more of a premium edge to it than the rest of the range. Targeting cars like the BMW 4 Series Gran Coupe and Audi’s A5 Sportback, it comes with a selection of potent petrol engines or a diesel option, and is loaded with equipment. If you’re after a more luxurious sportys saloon, it’s a genuine alternative to some of the big German names. Many car manufacturers can go a bit mad with marketing speak when talking about the features in their cars. Kia is actually pretty straightforward, but here are a few terms that you might come across. Autonomous Emergency Braking (AEB): A radar unit and camera in the windscreen detected an impending collision, and will activate the brakes if you don’t respond. High Beam Assist: A system that automatically switches between dipped and main beam on the headlights. A sensor on the rear view mirror can spot oncoming headlights, and will dip the lights accordingly. 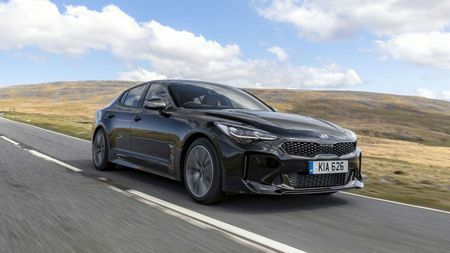 Kia Connected Services: A system that connects your infotainment system and sat-nav to the internet, using your smartphone’s wifi hotspot. Using this, you can access traffic information, weather updates and points of interest. Lane Departure Warning System: a camera mounted in the windscreen scans the lane markings on the road, and will alert you if you inadvertently drift out of your lane without indicating. Smart Key with Engine Start/Stop Button: Fed up of clicking the key fob every time you want to open the car, and of putting the key into the ignition? A smart key sits in your pocket or bag, and the car will detect when it’s nearby. It’ll then let you just open the door, and start and stop the car with the press of a button. Much easier. Smart Park Assist System (SPAS): A system that lets the car parallel or bay park itself, using a system of cameras and sensors. Simply press a button, drive next to a space, and the car will steer itself in. Speed Limited Information Function (SLIF): A camera in the windscreen reads speed limit signs and displays them next to the speedometer, to help you stop speeding inadvertently.